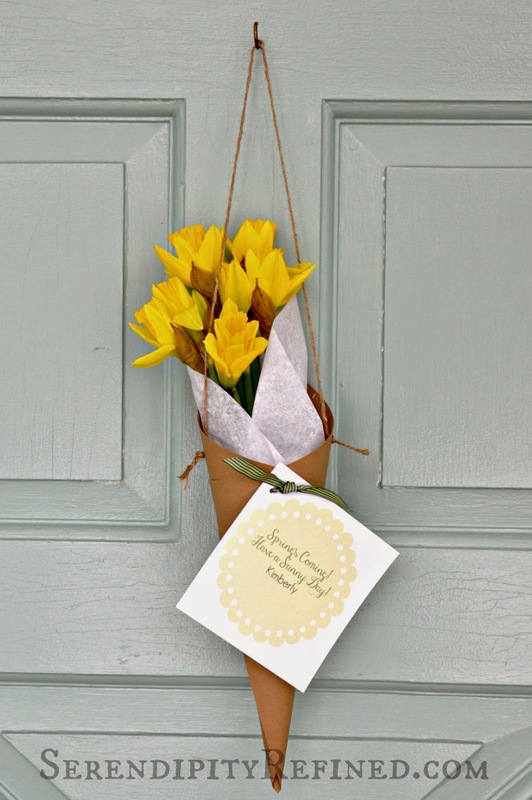 There's nothing that makes me smile more than the first signs of spring in my neighborhood and to celebrate, I made these simple brown paper cones filled with fresh daffodils for my front door and for my neighbors as well. 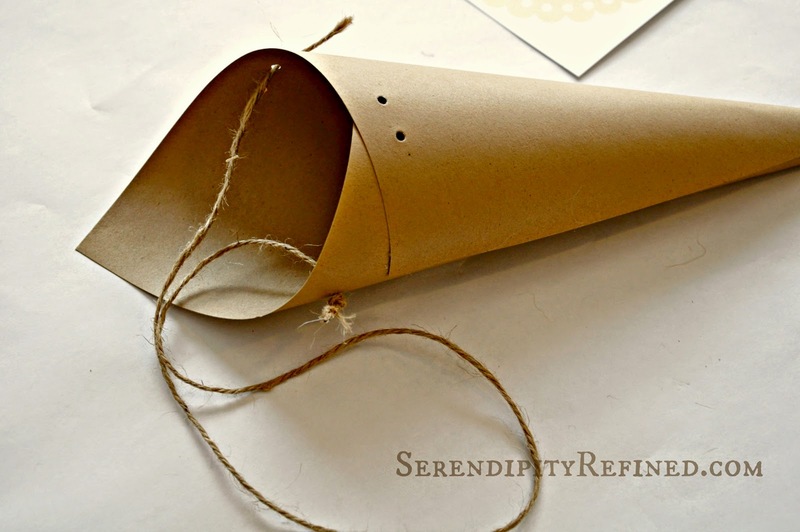 It's a super easy, inexpensive craft to do with kids, too! and there's a 20 yard dumpster in my driveway! Sure, not everyone sees a 20 yard dumpster as a sign of spring but this year I do because it means that it's finally warm enough to pour concrete and schedule the roof to be removed here at the farmhouse. Another sure sign of spring? My two favorite flowers, tulips and daffodils, have begun to show up at local markets. 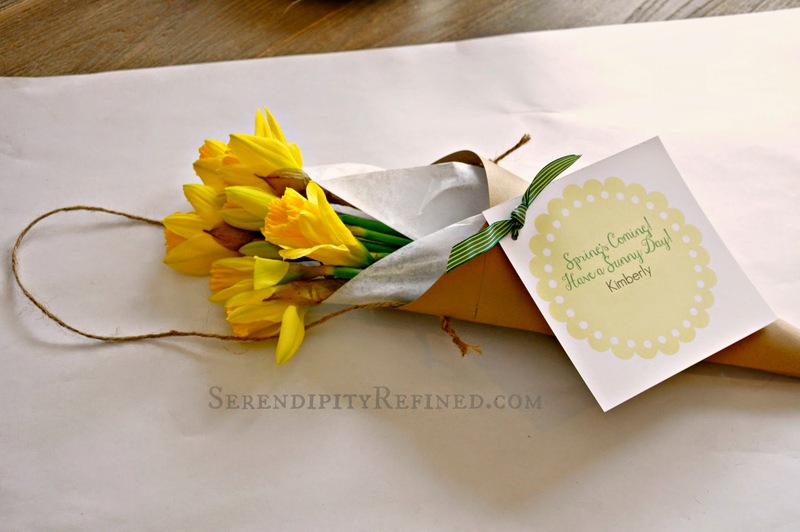 Last week I discovered that Trader Joe's had bunches of daffodils for $1.49! How could I possibly resist a fist full of spring time sunshine for under $2.00?! The short answer? I couldn't! I grabbed $15 worth and came home with a plan! I decided to share a little spring happiness with my neighbors because after all, when I can make else someone smile for $1.49, why would I waste the chance?! 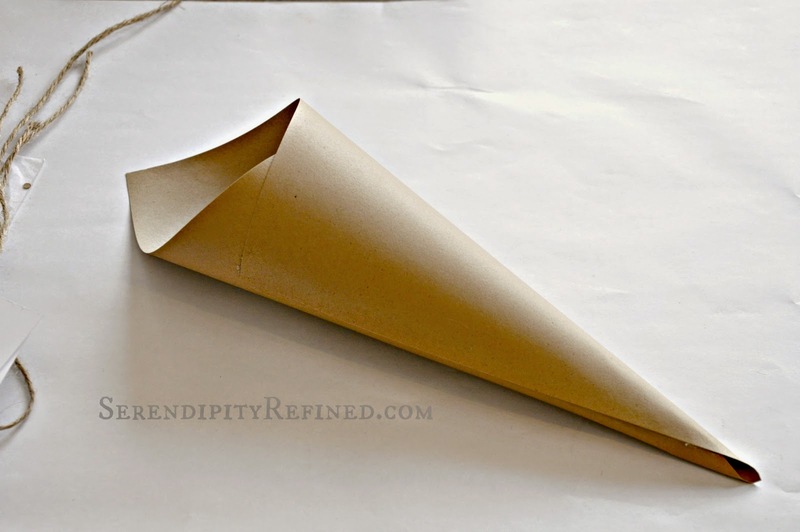 I made a simple paper cone by rolling a sheet of 8 1/2 x 11 inch card stock paper and gluing the seam. 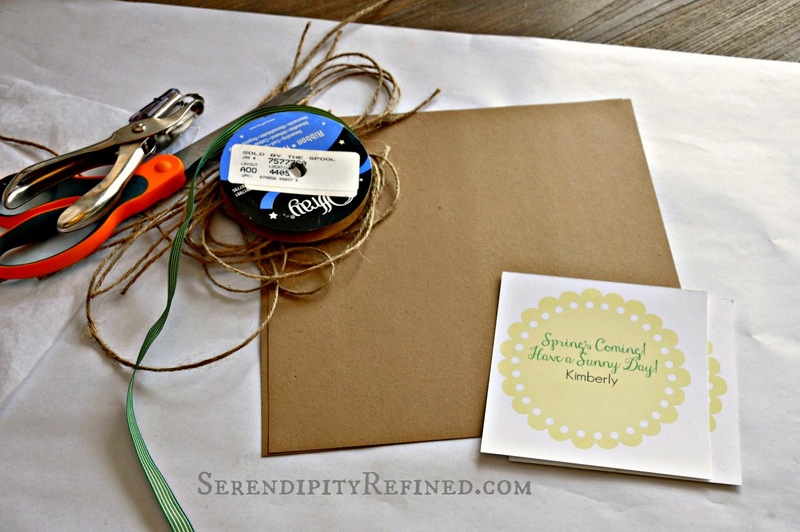 I punched holes on the sides for a loop of twine to hang it on the door and two holes in the front to tie on a spring message. 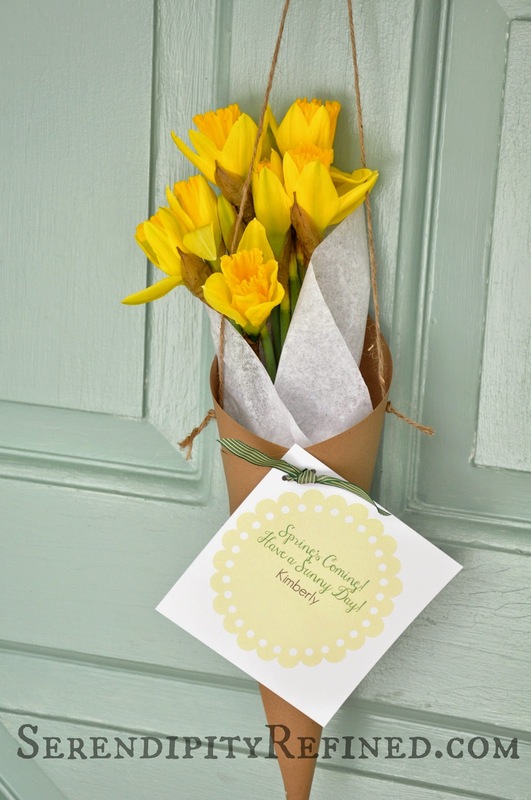 Then I popped in a few daffodils wrapped in tissue and hung them on the doors of my neighbors. You'd be surprised how many of them have stopped me to smile, wave, and say "thanks". ...other times, it takes a 20 yard dumpster and the promise of windows that will open by summer! Thanks for reading and Happy (almost) Spring!